New Seth Rogan sci-fi spoof Future Man will debut on Comedy in mid-June with a double episode premiere. The series stars Rogan, Josh Hutcherson, Eliza Coupe, Derek Wilson, Ed Begley Jr. and Glenne Headly. The Hulu series launchd in the US in November and has been renewed for a second season. 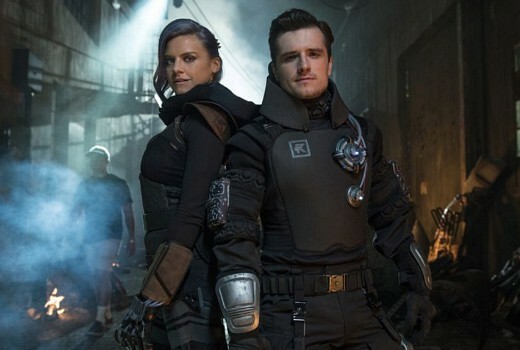 Produced by Seth Rogan and Evan Goldberg, Future Man follows janitor Josh Futturman who leads a pretty boring life, spending much of his time playing video games when he’s not working. Things change, though, when he beats a video game that the rest of the world has given up on, thinking it was unbeatable. After he defeats the game, mysterious visitors from the future appear. They put the world in danger, and Josh is the only person who can save it. Wednesdays from June 13 at 8.30pm on Comedy. I think they actually mention The Last Startfighter, it’s *very* self aware..
It’s also one of the craziest TV shows I’ve ever seen, highly recommended. Gee, David – I hope Seth is going to give a nod to “The Last Starfighter” (1984) which I think is the first film to come up with the idea of a video/arcade game actually being a test for a real ‘space warrior’. Also thought the idea had been used in a TV show before but maybe that never came off?